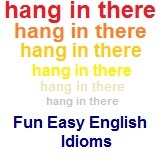 ﻿ Fun Easy English - new american english idioms letter s.
In this lesson you will learn American English idioms beginning with the letter S. You will learn the definition and study the usage of each idiom. The expression originates from the Hindu belief that cows are sacred and cannot be killed or eaten. The expression is frequently used to describe an idea or thing that ought to be changed or altered but cannot be because the authority forbids it. 1. Don’t suggest that the boss should get rid of one of his secretaries so that we might hire another clerk. The subject of his secretaries is a sacred cow. 2. Even though the country needed to raise more money to pay for military and social programs, the president refused to raise taxes. To him “no new taxes” was a sacred cow that he was unwilling to sacrifice. saddled with debt burdened with debt The company has been saddled with debt. said a mouthful said something of great importance He really said a mouthful at the office meeting. sail into scold As soon as I came in the door she began to sail into me for being late. The expression is usually used to describe a sales situation (sentence 1), but it can also be used metaphorically (sentence 2). 1. I hate door-to-door salespeople. They interrupt whatever you are doing and keep you standing at the door with their sales pitch about how good their product is. 2. No one knew how Ken had managed to persuade the boss to give him a bigger office, but they all agreed he must have had a very good sales pitch. SALT OF THE EARTH, THE a very dependable and unpretentious person 1. You can count on Ruth to be there when you need her. She’s the salt of the earth. 2. Greg may not be a very exciting person, but he’ll never let you down or disappoint you. He’s the salt of the earth. The expression originates from the practice of using salt to preserve food before storing it. 1. I don’t know what Ann does with all the money she earns, but I know she doesn’t spend it on herself. She must be salting it away for her retirement. 2. Sometimes we give food to the old man next door, because we know that he doesn’t have much money. Whenever we do, we try to give him enough so that he can salt some of it away for another day. Originally lose face was the direct translation of the Chinese saying ‘tiu lien.’ 1. The father lost face when his son was expelled from school. It was a poor reflection on the man’s ability to influence and control his family. 2. I knew that what I had done was wrong, but when I was discovered, I pretended that I hadn’t known it was wrong. That way I was able to save face. save one's breath remain silent You should save your breath because I do not believe you anyway. save one's neck avoid trouble He quit the company during the scandal in order to save his neck. save one's skin avoid trouble He quit the company during the scandal in order to save his skin. The expression suggests that a rainy day is one when a person will not be able to earn any money, and so he or she needs to prepare for such a day by setting aside some money now. 1. Rob saves a portion of every paycheck in the bank. He’s not saving for anything in particular, but one never knows when one might need some extra money all of a sudden. He’s saving for a rainy day. 2. My mother always made me save some of my money in case I needed some unexpectedly. She made me save for a rainy day. save the day brought about success She saved the day for her company. The expression is usually used to describe when someone says a lot, not so much in terms of the number of words as in the significance of the words. 1. John pushed his way in to the party and confronted Laura. He began to rant and rave and say things everyone knew he would later regret. He said a mouthful. 2. Everybody managed to keep the surprise party a secret until the last minute, when Jennifer’s younger sister gave it away. She said a mouthful before she remembered that the party was supposed to be a secret. This expression is usually used as an exaggeration to mean “very frightened for a short time.” 1. You shouldn’t jump out of the shadows like that! You scared me out of my wits! 2. Michelle’s brother played a prank on her, but she didn’t think it was funny. She was scared out of her wits. screw around waste time Do not screw around at work. Compare to: bats in (one’s) belfry; out to lunch; off (one’s) rocker 1. Sometimes Mr. Simpson talks to himself, and sometimes he imagines that he sees creatures from outer space. I think he has a screw loose. 2. The old lady on the bench will tell you the story of her life if you give her a chance. I imagine she’s just lonely or she has a loose screw somewhere. screw up make a mistake If you screw up one more time, I will fire you. screw up person who makes mistakes You are such a screw up. SECOND GUESS to dispute or try to understand someone’s reason for doing something 1. No one knows for sure why the boss quit so abruptly, but we are all trying to second guess his reasons. 2. Peggy came to work and simply announced that she was leaving her husband. She offered no explanation and told everyone who asked that it was none of their business. She told everyone not to second guess why she left her husband. Expressions using rate generally go only as far as fourth-rate. Second-, third-, and fourth-rate are synonymous. There are no degrees of inferiority. They are all opposites of first-rate. 1. This hotel isn’t the best. It’s really a second rate place. 2. When they remodeled their kitchen, they bought all new appliances of the best quality. They wanted nothing that was second rate. Whereas get cold feet means to change one’s mind because of doubts, have second thoughts means only to begin to have doubts. One may or may not change one’s mind based on second thoughts. 1. After you have decided to get married, it’s not unusual to have second thoughts and wonder whether you are really ready for such a big step. 2. I know we’ve already made the commitment to buy that house, but now I’m having second thoughts about it. Are you sure it was a wise decision? to agree 1. It’s relatively unusual for teenagers and their parents to see eye to eye on some issues like driving privileges, dating, and the importance of school. 2. The two firms broke off their partnership because they no longer saw eye to eye on how much money to invest in new research and development. The expression probably originates from the idea that a bull is supposed to become enraged when it sees the bullfighter’s red cape. 1. John saw red when his boss tried to make everyone in the office believe that John had made the mistake. 2. My father sees red when I come home late. Compare to: see through (something/someone) 1. The boy had said he would do the job, but it was more work than he had expected. However, he decided to see the job through because it was the right thing to do. 2. It wasn’t a pleasant task, but Jane knew she had to finish it. She saw it through to the end. Dawn on someone means to understand something some time after it should have become apparent, whereas see the light simply means to understand. 1. Wendy was completely fooled by the young man. We all wondered when she would see the light. 2. They finally saw the light when we explained the situation to them. Compare to: see (something) through 1. The little boy told his mother that he was not the one who had taken the candy, but his mother saw through his story because she could see chocolate on his face. 2. The pair had everyone convinced they were a luckless but well-intentioned couple. Very few people could see through them, and many gave them money, food, and clothing. The expression is often used in reference to a political or diplomatic situation. It has the negative connotation of being opportunistic. 1. Many politicians try to say what they think their constituents want to hear, even though they don’t always mean it. The politicians look to see which way the wind blows before they speak. 2. Fred has learned to survive in his job by bending to the will and desires of each boss he has had. He sees which way the wind blows and changes his behavior accordingly. Compare to: take off Hotcake is another word for pancake. 1. When the idea of a photocopying machine first became popular, the machines sold like hotcakes. 2. The man who ran the snack bar hoped that the weather on the day of the parade would be hot, because then his ice cream would sell like hotcakes. sell out sell completely Our best products seem to sell out very quickly. SELL (SOMEONE) A BILL OF GOODS [SOLD A BILL OF GOODS] to sell someone something that is worthless (sentence 1), or to make someone believe something that is untrue (sentence 2); to deceive someone 1. The ring looked real on television, but when it arrived in the mail, Paula knew she had been sold a bill of goods. 2. The project manager told us that construction would be finished by August; it wasn’t until later that we discovered he had sold us a bill of goods. Synonyms: rub (someone) the wrong way, get (someone’s) dander/hackles up, get (someone’s) goat, bug 1. I wish you wouldn’t talk during the movie. The noise really sets my teeth on edge. 2. That woman always pretends like she’s giving me a compliment, but I think she’s insulting me. It sets my teeth on edge. Synonyms: on cloud nine; walking on air 1. Cindy met Roger three weeks ago and fell madly in love with him. She’s been in seventh heaven ever since. 2. We’ve been in seventh heaven knowing that we’re going to have a baby. Synonyms: Step on it! ; Get a move on! The expression is never used in the past tense form “shook,” but it can be used in the future tense. 1. Come on, Sam, we don’t have all day. Hurry up! Shake a leg! 2. I asked you ten minutes ago to stop playing and clean up this mess. We have to go in five minutes. You kids had better shake a leg. shape up or ship out improve or leave You have the lowest production in this department so you better shape up or ship out. The expression is frequently used to describe a romance that is not meant to be because it is the wrong time or the wrong place. 1. Dan met the woman of his dreams, but he wasn’t quite ready to get married. They dated for a while and then went their separate ways. They were ships passing in the night. 2. I came to this city in 1985 and left shortly after I met Robert. Our lives touched only briefly. We were ships passing in the night. shoot some hoops play basketball After school, let's shoot some hoops. Shoot the breeze often includes the idea of chatting because one has some time to “kill” or is waiting for some amount of time to pass. 1. During our lunch hour, we like to sit around and shoot the breeze. We talk about all kinds of things and nothing in particular. 2. I sometimes wonder if government employees ever work. They seem to sit around all day talking to each other. They always seem to be just shooting the breeze. short on funds low on money I am kind of short on funds now. shot down disagreed with Everyone shot down my idea. The expression originates from the idea of a hypodermic injection to make a sick person feel better. 1. The exciting and innovative programs introduced by the new manager were a real shot in the arm. Everyone became motivated to make them work. 2. The new president stimulated the citizens to take a greater interest in the welfare of the country. He was a shot in the arm for a nation that had become apathetic and indifferent. The expression suggests that the probability of a correct guess is as small as the probability of hitting something that one shoots at in the dark. 1. Charles didn’t really know the reason why his son was in a bad mood, but he guessed that perhaps he had gotten some bad grades. Charles’ s guess was a shot in the dark. 2. I don’t know what they would like for a wedding gift, but we could take a shot in the dark and get them something for the kitchen. The expression sit tight is often used in situations of danger or panic or in situations where a calm, cool head is needed. It always uses the adjective “tight” rather than the grammatically correct “tightly”. 1. The stock market was falling sharply, but Lucy didn’t panic and sell her stocks. Instead she sat tight and waited for the market to rise again. 2. Margie called late at night to tell us that her car had broken down and to ask us to come and pick her up. We told her to sit tight and we would be there as soon as possible. The expression is often used to describe a financially advantageous situation (sentence 2). It is always used in the present participle form. It can be used in the past or future tenses by making the verb be past (sentence 1) or future (sentence 2). 1. John had managed to work his way into a position of power and influence. He was certainly sitting pretty until it was discovered that he was stealing money from the company and was fired. 2. I’m going to be careful how I spend and save my money now, so that when I retire I’ll be sitting pretty and won’t have to worry about my finances. The expression originates from the idea that, whereas everyone is born with the five senses of sight, hearing, taste, touch, and smell, some people seem to have an additional sense that enables them to perceive events or things that others cannot. 1. Carrie has an uncanny sense of what’s going to happen in the future. It’s almost as though she has a sixth sense. 2. They had a terrible feeling that something bad had happened to their son. They had no rational reason for thinking it; it was just a sixth sense. The expression suggests something undesirable that is hidden away in the closet but that one cannot get rid of. 1. Before I took this job with the government, I had to reveal the fact that I had been arrested when I was a teenager. That has always been my skeleton in the closet. 2. Rachel’s family had a relative who spent years in prison. They always tried to keep that family skeleton a secret. The expression suggests that it is as difficult to wake such a person as it would be to wake a log or a rock. 1. Steve had to have two alarm clocks set to wake him up because one was never loud enough. He slept like a log. 2. As a rule, the baby never wakes up during the night. She sleeps like a rock, and even the noise of the TV doesn’t wake her. slim to none almost impossible I think our chances of getting in are slim to none. The expression suggests that the thing or person one wants to keep is slippery or hard to hold on to, like water or sand. Despite the fact that one tries to grasp it, it disappears between one’s fingers. 1. They had the opportunity to make a lot of money, but they didn’t act quickly enough and the chance slipped through their fingers. 2. When Mike asked Irene to marry him, she told him she wanted time to think it over. But she waited too long and Mike married someone else. She let him slip through her fingers. SLOW BURN to be quietly angry 1. Jack didn’t get promoted to a new job and, although he hasn’t said anything about it, I know he’s doing a slow burn. 2. I do a slow burn every time my husband expects me to look after the children while he plays golf with his friends. The expression suggests a race in which the participants are slow [or quick] to leave the point of departure (the mark). 1. Keith never got a chance to play in the school marching band because he was slow off the mark and didn’t sign up for it by the deadline. 2. Katherine succeeds at whatever she attempts because she‘s very much aware of what’s going on around her. She’s quick off the mark. The expression suggests that the likelihood of something happening is as small as the probability that a snowball will not melt in the fires of hell. 1. Kay has a snowball’s chance in hell of getting into that college. She has bad grades and poor exam scores. 2. They don’t have a snowball’s chance in hell of raising enough money to send him on that trip, because they don’t have anything worth selling. The expression suggests the sound a rooster makes to draw attention to itself. 1. We’re really proud of Janie. She got an outstanding score on her entrance exams. It really is something to crow about. 2. If you let Bill win, he’ll never let us hear the end of it. You’ll just be giving him something to crow about. The expression originates from Aesop’s fable about a fox that wanted some grapes from a vine but was unable to jump high enough to get them. In disgust, he claimed that they weren’t worth having anyway because they were probably sour. 1. When Nicolas found out that he wasn’t going to be promoted, he told people that he hadn’t really wanted to stay with the company anyway. It was a case of sour grapes. 2. I know this sounds like sour grapes, but I’m just as glad that I didn’t get into college. I think I’d rather get a job. The expression has traditionally been used to describe the behavior of a young man (sentence 1), although nowadays it can be used to describe young people of both sexes. 1. You would never know it, but their father was quite a troublemaker in his youth. He sowed his wild oats before he became a family man and an important member of the community. 2. Nancy doesn’t want to settle down to a family and career until she has spent a few years traveling, having a good time, and sowing her wild oats. 2. “Where’s Ernie?” I asked, just as Ernie came through the door. “Here I am,” said Ernie. “Speak of the devil,” I said. Synonym: speak (one’s) piece 1. Donald wondered if he could speak his mind freely, but decided it would be best if he kept his opinions to himself. So he didn’t tell her what he really thought about her. 2. I’ve always been honest and open with you about how I feel and what I think. I’ve never been shy about speaking my mind. The expression speak one’s piece is usually used to describe what someone does when he disagrees strongly with someone else but has little control over the situation. The speaker wants the person to know his feelings and may present them in an uninterrupted monologue (piece). 1. Pam’s father was unhappy that she intended to marry a man he didn’t approve of. He wanted her to know why he disapproved of the man, so he spoke his piece, but he ended by saying that he would leave the decision up to her. 2. I’ve always been honest with you about how I feel and what I think. I’ve never been shy about speaking my piece. Antonym: keep (something) under (one’s) hat 1. I told Bob not to tell anyone my secret, but he couldn’t keep his mouth shut. He spilled the beans to the first person who walked through the door. 2. The boss was annoyed when he learned that we all knew he planned to quit. He wanted to know who had spilled the beans. Spitting image refers to a physical likeness, whereas a chip off the old block refers to a likeness in character or personality. The expression is usually used to describe a child’s resemblance to a family member. 1. Although Roger doesn’t look very much like his father or mother, his grandmother says he’s the spitting image of her late husband, Roger’s grandfather. 2. The girls in that family have their mother’s mouth, nose and eyes. They are the spit and image of their mother. The expression suggests that a hair is so thin that it would be pointless to try to split it. Similarly, it is pointless to argue over details of no consequence. 1. The girl’s mother asked what time they got home and the girl told her 10:00. The brother insisted that it was 10:05. The girl told him he was splitting hairs and that five minutes didn’t really make a difference. 2. We can’t seem to agree on this minor point, but I don’t think it’s worth arguing about. I’m not going to split hairs with you about this. The expression is usually used to describe surprising someone with some unexpected news. 1. Grace thought she had done well on the test, so it came as a shock when she discovered that she’d failed. The teacher sprang it on her very suddenly. 2. You have to prepare Mark for surprises or bad news that he’s not expecting. Don’t spring anything on him. SPUR OF THE MOMENT, ON THE suddenly or spontaneously; without advance planning. 2. Betsy isn’t a very spontaneous person. She can’t just do something on the spur of the moment. 3. I didn’t really plan to go out last night. It was a spur of the moment decision. In this expression, square means right. 1. We bought our car from the dealership in town, and they gave us a good car at a fair price. It was a square deal. 2. The management of this company are always out to get what they can from the workers without fair treatment or compensation. They have never given anyone a square deal. SQUARE MEAL full and well-balanced meal 1. That man is so thin and gaunt. He looks like he hasn’t had a square meal in weeks. 2. The children’s doctor recommends that they eat three square meals a day. Each meal should include a vegetable or fruit, milk or cheese, meat or some form of protein, and rice or bread. Stick to one’s guns more narrowly means to be firm in one’s resolve, and could be used in sentence 1 but not in sentence 2. The expression stand one’s ground suggests having one’s feet firmly planted on the ground and not giving up any ground to one’s adversary. It is often used to describe the behavior of a wild animal that is being threatened by its enemy. 1. The union workers will not give in to the demands of the factory management. They want better wages, better health benefits and improved working conditions, and they’re going to stand their ground. 2. When the goose was threatened by the approaching fox, she stood her ground and hissed and pecked at him. She would protect her baby goslings at all costs. The expression suggests that when a person uses his own two feet, he is not relying on others for support. The expression always calls for two feet even when the subject is plural (sentence 2) and four feet would be more logical. 1. They told their twenty-year-old son that it was time he found a job and began to support himself. It was time for him to stand on his own two feet. 2. 1 was so glad to hear that Pete and Gloria got a house of their own and that they no longer have to live with her parents. They are finally standing on their own two feet. Whereas stand out in a crowd is usually a positive attribute, stick out like a sore thumb is a negative one. The expression stand out in a crowd suggests a degree of distinctiveness and independence. 1. Dianne has her own style and rarely follows current fashion. If you saw her on the street, she would stand out in a crowd. 2. Paul does what everyone else does and goes along with what other people think and say. He doesn’t like to stand out in the crowd. Compare to: back to square one; make (something) from scratch 1. The laboratory experiment failed for some unknown reason, so the chemist decided to start the experiment from scratch. He started over completely with new bottles of chemicals and new equipment. 2. Karen had to throw out what she had already done. She wasn’t able to save any of it. She had to start from scratch. steamed up angry Don't get so steamed up over the issue. 2. As the ambulance left for the hospital with my sick father in the back, I asked the ambulance driver to step on it. I wanted him to waste no time getting to the hospital. The expression suggests that one is “cooked” (stewed) in one’s own unpleasant but self-made situation. 1. The boss is annoyed that we haven’t finished this report yet, but he really didn’t give us enough time to do it. He’s in the office pacing the floor, but I’m not going to work any faster. Let him stew in his own juices for a while. 2. You brought this bad situation on yourself, and no one is going to go out of his way to rescue you. You’ll just have to stew in your own juices. The expression stick in the mud is derogatory. It is usually said to taunt someone who is less daring, less spontaneous, or more conservative than others. It suggests the slow or sluggish movement of something stuck in mud. 1. Let’s go to the beach. You don’t want to sit around the house all day, do you? Don’t be such a stick in the mud! 2. Everyone thought Herman was a stick in the mud because he never liked to do anything interesting or exciting. He never took part in the tricks that the other students played on each other or on their teachers. The expression suggests that sticking one’s neck out may lead to having one’s head chopped off. 1. Larry helped me when no one else would, and I would do the same for him. I don’t mind sticking my neck out for a friend like him. 2. Jack was too scared to stick his neck out and stand with the rest of the workers in their demands for better working conditions. He was afraid he would lose his job. The expression stick one’s nose in has a negative connotation. 1. Don’t stick your nose in where it’s not wanted. This matter is between Pat and me, and it has nothing to do with you. 2. I mind my own business, and don’t get involved in other people’s personal affairs. I don’t stick my nose in where it doesn’t belong. Whereas stand out in a crowd is usually a positive attribute, stick out like a sore thumb is a negative one. It is used to describe someone (or, less frequently, something) in a situation where one ought to blend in but doesn’t. 1. John said he planned to wear shorts and a sweatshirt to the wedding, but I told him it would be completely inappropriate. I told him he would stick out like a sore thumb and everyone would notice him. 2. The paintings of the modern artists stuck out like a sore thumb in the classical art museum. They just didn’t belong there, grouped together with the old masters. Stand one’s ground can also include the idea of being firm against one’s enemy. It could be substituted in each sentence above to suggest a more adversarial relationship. 1. Peggy was determined to ask her boss for a pay raise, but when she raised the issue, she let the boss talk her out of it. She didn’t stick to her guns. 2. Little children often test their parents to see how much they can get away with. It’s important for parents to stick to their guns when their children try to get something undeserved out of them. Hem and haw describes being at a loss for words, making only meaningless sounds, whereas stonewall means talking but saying little of substance. The expression is usually used to describe people that want to avoid taking responsibility or answering a direct question. 1. The newspaper reporter asked the president whether he intended to seek reelection. The president did not want to reveal his decision, so he stonewalled by talking around it. 2. The bank manager was called before the board of directors to answer questions about the large number of bad loans made by his bank. The directors asked him who had approved the loans. The manager said he wasn’t sure, that the decisions were made by several people and it would be hard to determine who specifically had approved each one. The manager was stonewalling the board. Compare to: toe the line 1. Ruth never does anything surprising or slightly out of the ordinary. She follows the straight and narrow. 2. The boss always follows the straight and narrow, so we know he will treat us fairly and honestly. The expression is used to describe the source of information, usually of a rumor or of something that is not likely to be believed. The origin of the expression is the fact that one can always tell the true age of a horse from an examination of its teeth, i.e. from its mouth. Thus, the horse’s mouth is the most authoritative source of information about its age. 1. You may not believe this, but the boss is quitting the company. The boss told me himself. I heard it straight from the horse’s mouth. 2. Tim asked Molly where she heard the news. He thought perhaps it was just a rumor, but Molly said she got it straight from the horse’s mouth. STRANGE BEDFELLOWS people or things that one does not normally expect to find together 1. I never thought I’d see two politicians from opposite ends of the political spectrum working together to pass the same law. They certainly are strange bedfellows. 2. John and Charlie rarely have the same opinion about anything, so it was surprising to find them agreeing on such a controversial issue. Aren’t they strange bedfellows? STRAPPED FOR CASH not having quite enough money 1. I’d love to have dinner with you, but I’m strapped for cash and can’t afford a restaurant. Maybe we can eat at home. 2. Martha got tired of being strapped for cash, so she made a budget and didn’t use more money than she could afford. Both expressions suggest the idea of loading straw (a relatively light material) onto a camel’s back until one more light straw (the last straw) breaks the camel’s back. 1. Constance finally quit her job because the situation was becoming intolerable. The boss asked her to make the coffee and act as a hostess even though she was hired as an accountant. The straw that broke the camel’s back came when the boss asked her to go out and buy his family’s Christmas presents and then complained because she couldn’t get her work done. 2. First the builder dropped paint on their new carpet. Then he backed his ladder through their window. They told him to get out and not come back when he backed his truck over their prized flowerbed. That was the straw that broke the camel’s back. 2. Ms. Howard is a good businesswoman. Although she studied at Harvard Business School, she’s also picked up some street smarts and can play hardball when she has to. The expression suggests that one can distort or bend the truth, so that others are misled, without actually telling a lie. 1. When people asked Peter if he was a manager, he stretched the truth by telling them that he managed the office where he worked. What he didn’t tell them was that he was the only person in his office and he only managed himself. 2. Sometimes when people apply for a job, they stretch the truth about what they did in their previous jobs in order to make themselves seem more important or more desirable. The expression originated with the idea of miners discovering precious minerals, but it is also used as a metaphor to describe finding anything of value. 1. Calvin was very talented when it came to business and finance, and it was only natural that he would strike it rich when he invested in the stock market on Wall Street. 2. Carol was just trying to get a photograph of the actor, but she struck it rich when he asked her if she wanted an exclusive interview, too. strike while the iron is hot take advantage of this opportunity The stocks price is a good deal so we should strike while the iron is hot. The expression is often used to describe what a false-hearted lover does to someone who is naive or unsuspecting (sentence 1). 1. Mark had no scruples when it came to romance. He would string some poor girl along until he found someone he liked better. Then he would drop the first girl without a second thought and leave her brokenhearted. 2. The crook strung the old lady along with the story that he was investing her money in something safe, when in fact he was stealing from her. Describing someone as a stuffed shirt is clearly disparaging, whereas old fuddy-duddy describes someone who is a harmlessly and often humorously old-fashioned person. The expression stuffed shirt is always used to describe a man, never a woman. 1. Stanley is a bit of a stuffed shirt. He’s arrogant and pompous and he tries to make everyone else think he’s so important. 2. We hate going to those business conventions. It’s just a bunch of stuffed shirts, sitting around trying to impress each other. SUIT/FIT (SOMEONE/SOMETHING) TO A T perfectly; exactly 1. Margie tried on the dress in the store and looked at herself in the mirror. The dress suited her to a T.
2. The carpenter removed the old window and put in the replacement. It fit the space to a T.
Compare to: eat crow; eat humble pie 1. My aunt is a stubborn woman. She would rather lose everything than swallow her pride and take money or help from us. 2. There’s nothing to be ashamed of in being able to swallow your pride and admit when you are wrong. In fact, it’s a sign of maturity. The expression suggests that one works so hard that one sweats blood, a fluid more vital than perspiration. 1. Gary had to work day and night to keep his large family in food and clothing. He sweat blood for them. 2. There’s no point in sweating blood for some people. They’ll never be happy no matter how hard you try. One can be swept off one’s feet by either a person (sentence 1) or a place or situation (sentence 2). 1. Marcella was an impressionable young woman with little experience of romance. Richard just swept her off her feet when he started to date her. 2. Judy and Joe went to Hawaii on the holiday vacation of their dreams. They were swept off their feet by the warm and friendly atmosphere. Hey do you know any English idioms beginning with the letter S not listed on this page?